Board Certified Dr. Verville alleviates foot and ankle pain that naturally comes with active lifestyles. By taking a lifestyle-centered approach, Dr. Verville offers comprehensive podiatric services to support you with care to fit your needs. Though focused on early intervention and preventative care, Dr. Verville also treats Frisco patients suffering from bunions, hammertoes, heel pain, and podiatric trauma. Dr. Verville received her Bachelor of Science in Biochemistry & Molecular Biology from University of Minnesota Duluth. Her Doctorate in Podiatric Medicine at Des Moines University’s College of Podiatric Medicine & Surgery and three-year residency at Detroit Medical Center provided her with experience in a variety of foot and ankle disorders. Dr. Verville has additional orthopedic trauma training from Detroit Receiving Hospital and pediatric surgical training from Children’s Hospital of Michigan. She has performed hundreds of elective and traumatic foot and ankle surgeries over the past decade. Part of being an athlete is recovering from injuries. You train daily and know what your body can handle. The problem is that you push yourself so hard there is often a breaking point. Podiatric injuries often start small and gradually build up to serious problems. Many athletes think that they can simply work through the pain, but there comes a point when it is unbearable and a podiatrist is needed. Board Certified Dr. Verville has worked with numerous athletes in Frisco to combat foot and ankle problems that keep them from doing what they love most. She works with your injury and advises treatment plans that can keep you active while you are mending. Her focus extends beyond simple diagnosis. She determines the physical problem that caused your injury so that once you are healed, it will not happen again. An avid believer in innovative care, Dr. Verville pursues new techniques to improve patient comfort. Her evaluation of foot and ankle biomechanics starts with preventing injury through the use of custom orthotics. This is not only treatment for foot and ankle disorders, but a preventative measure to enhance support while running or playing sports. Dance performances require physical strength and quick twists and turns that can really damage your feet. Bruising, breaks, and swelling are common problems in a dancer’s life. But once the performance is over, your feet are left to heal from minor injuries that can gradually turn into lifelong problems. 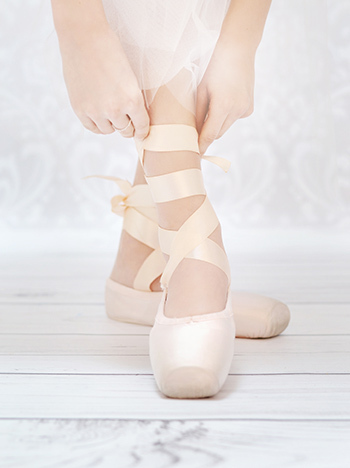 With an emphasis on preventative care, Dr. Verville helps dancers in Frisco reduce the strain on feet and ankles to avoid long-term problems. By evaluating how dance routines affect your feet and ankles, Dr. Verville tailors care and advice to your needs. After treating your injuries and improving your range of motion, she can work with you to find preventative measures that will limit future injuries and help you keep dancing. Dr. Verville has received extensive training to evaluate the biomechanics of your feet and ankles. She determines points of strain that can be corrected and develops custom orthotics to relieve your feet of unnecessary strain and pressure. This prevents foot and ankle disorders from evolving and maintains healthy feet and ankles that will keep you dancing for a lifetime. Expert treatment for podiatric injury, congenital problems, and wear and tear from active lifestyles.